Youth Sports offers Karate and Tae Kwon Do classes for children ages 6 - 18. Numerous studies have shown that participation in martial arts classes have numerous benefits for children. While some parents fear participation in martial arts promotes violence, experts disagree. Martial arts helps teach self-discipline and socialization skills. Parents of children with attention-deficit/hyperactivity disorder (ADHD) report great success with martial arts programs. Every child is different but each needs and outlet for pent-up energy and what better way that with a focused program! 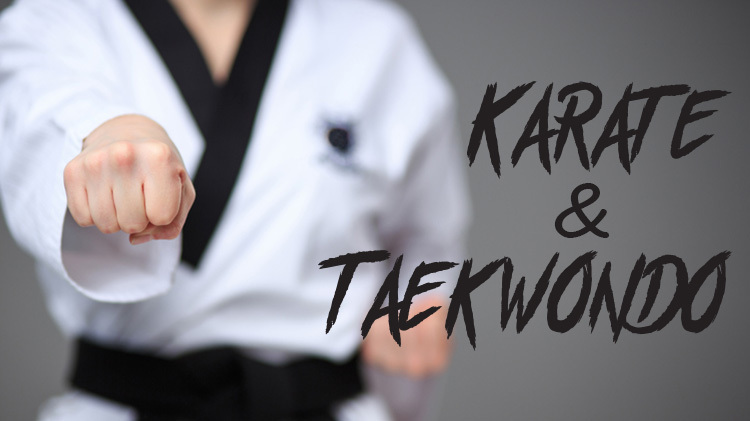 Tae Kwon Do classes are held at the Warrior Training Center (WTC), 9730 Lowen Rd. Bldg. 1139. Parents please note the WTC is a Garrison facility utilized by Active Duty soldiers as part of the Army Combatives Program. Children not enrolled in classes are not permitted to play with or on equipment located in the facility. Karate Classes are held at the School Age Center Gym, 9500 Barlow Rd. Sign up is available with Webtrac, Parent Central Services or Julie Libert, +1 (703) 805-9138.